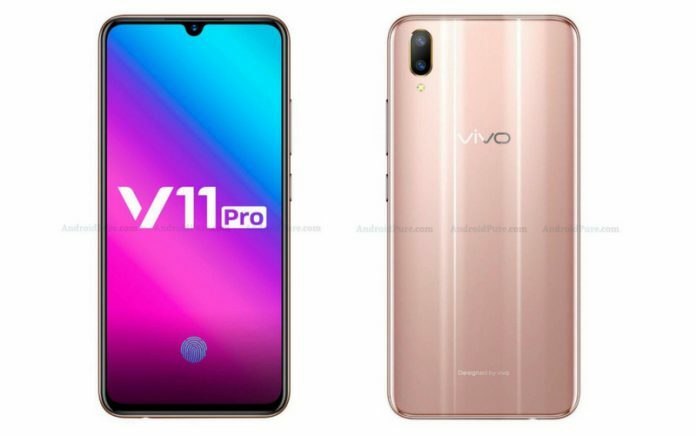 The Vivo V11 Pro was leaked on August 30, with images showing the design and display of the new smartphone. The Vivo V11 Pro is set to be launched soon, and it has many fans waiting for it. We had expected the new smartphone to launch at a price tag above Rs. 30,000; but looks like Vivo is pricing the new smartphone quite aggressively. The new Vivo V11 Pro will come to India at just Rs 25,990, according to a leak by tech blogger Sanjay Bafna. The handset costing Rs 25,990 will pack in 6GB of RAM and 64GB of internal storage, the blogger said. Users of HDFC Bank cards will get Rs 2,000 in cashback for pre-booking the handset, Sanjay added in a tweet he posted late on the night of August 30. The Vivo V11 Pro, as we have reported already, will be launched in India on September 6. Pre-booking of the device will be allowed till September 11, according to our sources, and from September 12 onwards you can get your hands on this new Vivo smartphone, if the stocks don’t run out immediately. Simultaneously, Vivo will launch the Vivo X23 in China, on September 6. Both phones, the leaks show, are quite similar but not exactly the same. There has been a stream of leaks around the Vivo V11 Pro, and some credit for that goes to Vivo itself. The Chinese company has been engaging with fans with great energy, and has kept the teasers coming for the last few days. The tempo of anticipation around the Vivo V11 Pro hence has reached a crescendo now, and we can safely conclude that we know largely what the phone will look and feel like. Recently, leaked images show the handset to sport a waterdrop notch, an under-display fingerprint scanner, and a dual rear camera. We have also seen a 3.5mm audio jack and microUSB port on the Vivo V11 Pro in those images, and other leaks and teasers have shown that the smartphone will feature a 6.4-inch Super AMOLED display with Full HD+ resolution and Vivo’s new Halo FullView technology. Powering the Vivo V11 Pro will be a Qualcomm Snapdragon 660 chipset with 6GB of RAM, and the 64GB of internal storage can be stretched to 256GB via a third and dedicated microSD card slot. The Vivo V11 Pro will house a 12MP+5MP rear dual camera with dual pixel technology and artificial intelligence, the AI giving it additional ease-of-use features such as scene recognition and face beautification. The selfie shooter is a 25MP camera that has a fast face unlock feature as well. The battery of the Vivo V11 Pro is a 3400mAh unit and the handset gets dual engine fast charging. As you can see, this smartphone looks like an attractive new option in the mid-range smartphones segment, and while it does not house a flagship chipset, it does come with decent camera equipment and a large display with Super AMOLED and FullView technology. Priced at Rs 25,990, this could be a good option if you were looking to buy a smartphone with a Water Drop notch that is all the rage these days. Also, a fingerprint scanner under the display, expected to be of the fourth generation and mighty quick, is certainly a lot on offer in this price range. If you agree, let us know in the comments section below.